Sandcasles by Suzie Carr is guest reviewed by Lynn Lawler. You can find out more about her at the bottom of the page in her profile. Good morning friends. I have been very busy with my reading and have just finished this incredible book by Suzie Carr. 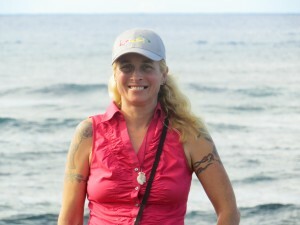 Suzie is a positive minded woman who incorporates her messages into her stories. She is the author of several books including, “Sandcastles”, which I am reviewing today. This story is about two dynamic women. The first one is Lia, a strong willed and ambitious independent, businesswoman. On the surface she appears to be very desirable. Her own company is successful and obstacles never seem to deter her mission. I applaud the author for making her so independent because many traditional “Romance” stories portray one weaker than the other – where one can’t function without the other – and need someone to save them. Not Lia. She takes the bull by the horns and is very much a “do-it-yourselfer”. On the other side of the spectrum is Willow, a shy, but assertive woman who meets up with Lia. Willow is an old soul who is very spiritual and speaks the truth. She works as a yoga instructor, a job she really loves. In addition – her psychic gifts, allow Willow the opportunity to help others in a professional setting. Willow’s calm and caring demeanor, made me really appreciate everything she did. Suzie Carr has a special way of creating characters whom you can easily fall in love with. This one truly captured me in a special way. Sometimes we are presented with life’s challenges and we have to come to terms with who we are and what we have to work with. Growing up in a strict conservative household, Willow was forced into a religion that didn’t fit her. Many times she felt stifled. Unfortunately, where she lives, psychic abilities carry a stigma and many people fear her; she’s been ridiculed and ostracized. In Willow’s corner is Yvonne, her aunt’s partner, who I really admire. Yvonne views the world in a positive way and believes in reaffirming hope, love and growth by practicing affirmations. Her words of wisdom are, “Follow your dreams.” Yvonne and Willow have a strong bond that is evident throughout the story. The author’s descriptions of character traits and relationships are crystal clear and the story easily captures and keeps your attention throughout. Suzie inspires us with wisdom and humor alike. Her storytelling is remarkable and connects the reader to the characters – as well as to herself. If you haven’t read any of Suzie’s books, get started right away! I highly recommend “Sandcastles”, especially if you’re in the mood to be drawn toward the private beach of your own imagination. You can also see my Suzie Carr interview, where we discover more about this super-smart and creative writer. Lynn Lawler was nice enough to review this book as a guest review for us. An author in her own right, Lynn is involved with a number of interesting project. Lynn Lawler‘s stories are greatly inspired by LGBT themes with deep felt emotion and rich characters. Each live out their dynamic lives and find themselves in the rich imaginations of those who love to read and receive fulfillment within their own creative desires. Her novel, “Enlightened Desire”, is a story about a woman in denial about her true potential who encounters a new awareness; suddenly things that she feared the most became her reality. She is forced to make choices which no one should ever have to make. While in college, she wrote an editorial that was published in The Detroit Free Press. It focused on the positives of children’s education in the sciences. This she found to be very inspiring and felt that people needed awareness to encourage young people to study these subjects. Lynn went on a journey to Arizona seeking a refreshed higher purpose. While there, she experienced things that were life changing. By sharing nutritional information and benefits of going vegetarian, Lynn walked right into an opportunity where she created a new profit center for a co-op market by introducing a juice bar. In another venture she applied her expertise in developing a marketing strategy for a professional outdoor sales - small business. In addition to marketing, Lynn also was an architectural designer, consulting and contracting for many Los Angeles, CA based architectural firms. Her creative awakening began after low spot emotionally. She finally realized that her true, lifelong dream of being a writer could and would become her reality. Lynn watched a documentary on the life of the 20th century, writer Willa Cather. Willa Cather became her encouragement to move forward with her own aspirations. The trials of Lynn’s life have only served as stepping stones to a brighter outlook and a stronger spirit. Lynn has always been a fan of books. Her favorite authors are; Mary Higgins Clark, and J.K. Rowling and Judy Blume. In addition, she loves reading the works of other LGBT authors. You can find Lynn Lawler’s blog at www.lynnlawler.wordpress.com. Here you will read interviews of artists, authors, and others. In addition, you can read all of Lynn Lawler’s book reviews for a relevant, insightful, point of view. In her spare time she enjoys hiking, meditation, playing chess and Tomb Raider, and watching baseball.